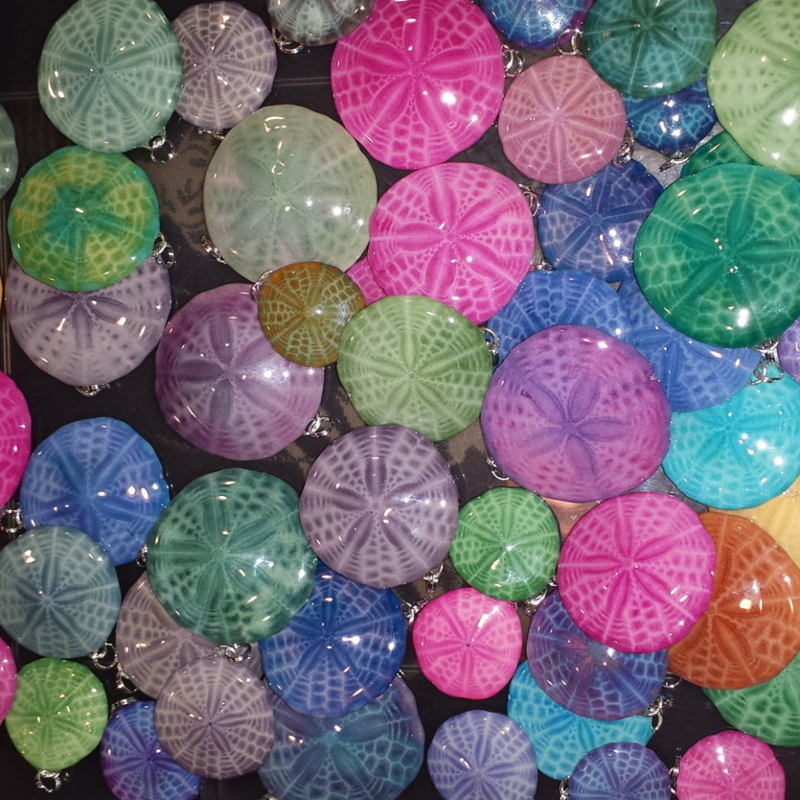 My sand dollars are found in the waters of Georgetown Maine. Many come from my own lobster traps. I dry them, dye them, and then seal them for strength. 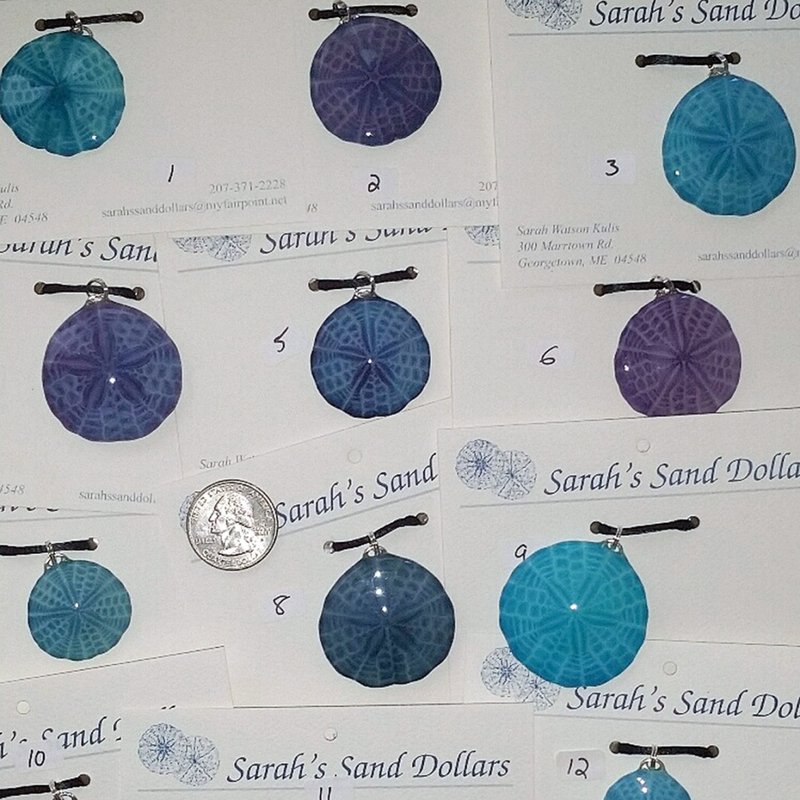 Each sand dollar is unique, and no two are alike.